BHP has revealed a $US600 million ($838.2 million) loss to its productivity following three high-profile unplanned outages. 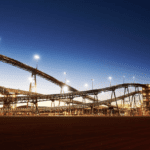 The company’s productivity was impacted by an acid plant outage at the Olympic Dam operation in South Australia, the Pilbara train derailment in Western Australia, and a fire at the electro-winning plant at the Spence copper project in Chile during the first half of the 2019 financial year. These incidents impacted volumes by 45,000 tonnes, 25,000 tonnes and 4 million tonnes respectively, leading to “lower than expected volumes” for the half year, according to BHP. While no one was hurt in the incident, the train derailment caused by far the largest impact to productivity of the three incidents. BHP was forced to derail the train, which was delivering iron ore from Newman to Port Hedland, after it took off without its driver due to a brake failure. The train travelled 92 kilometres in 50 minutes before being derailed at Turner’s Siding, 120 kilometres south of its destination, leading to a five-day suspension of rail operations. 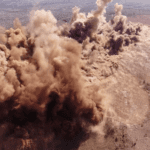 BHP’s iron ore production fell 6 per cent in the quarter to 57.83 million tonnes. 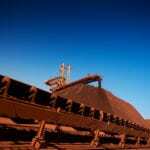 However, its half-year production of 119.2 million tonnes was up 2 per cent year on year. The company achieved record production at the Jimblebar mine and returned to full capacity at the Mt Whaleback mine following the impacts of a fire in June 2017 to guide the increase. BHP increased copper production at Olympic Dam by 20 per cent on the same period a year earlier despite the acid plant outage. The company’s copper output was 1 per cent higher overall as production fell by 17 per cent at Pampa Norte in Chile. BHP plans to pay out the second half of $US10.4 billion in returns to shareholders via a special dividend of $US5.2 billion on January 30 following the sale of the company’s US shale assets last year. Its shareholders received an initial $US5.2 billion through a share buyback program in December 2018.